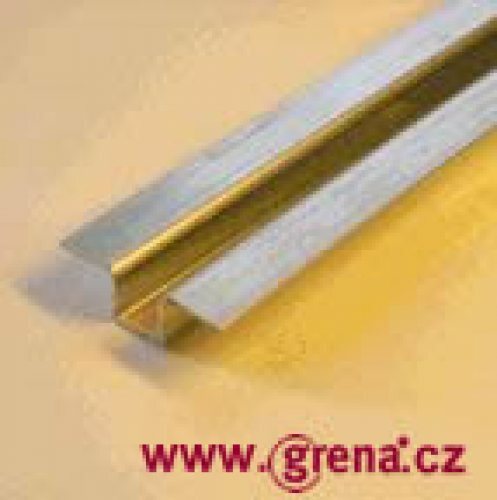 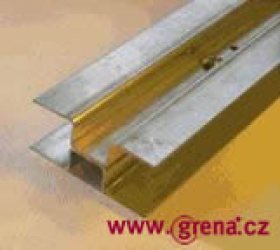 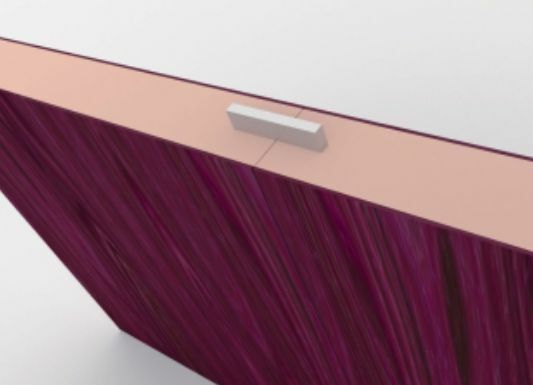 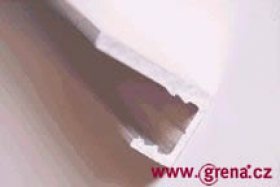 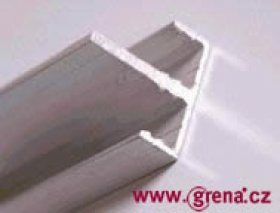 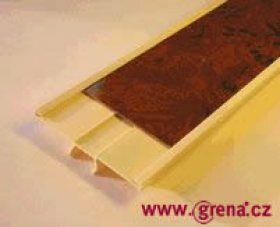 Grenamat incombustible board with a groove in the central H - profile at the bottom end U - profile. 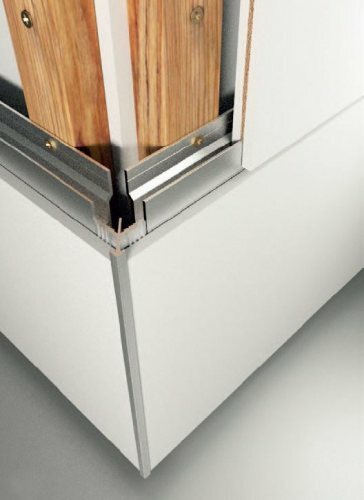 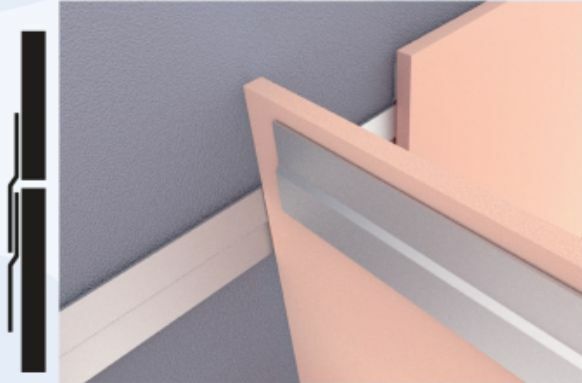 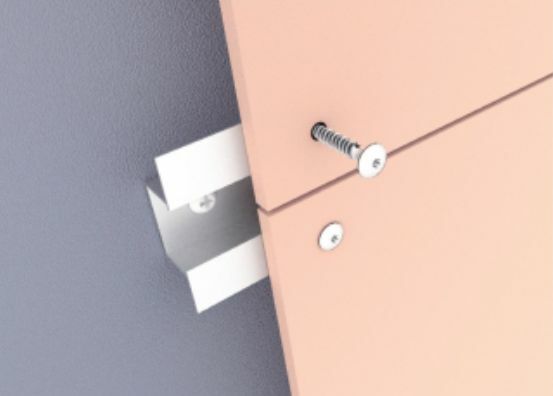 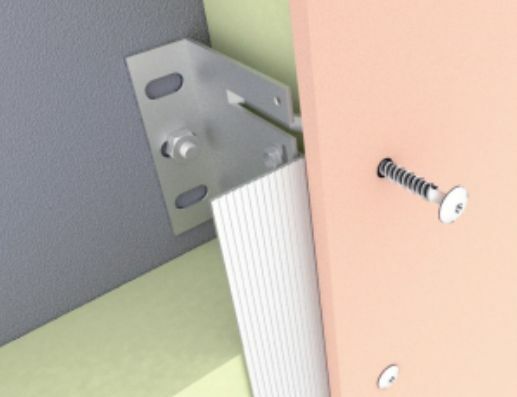 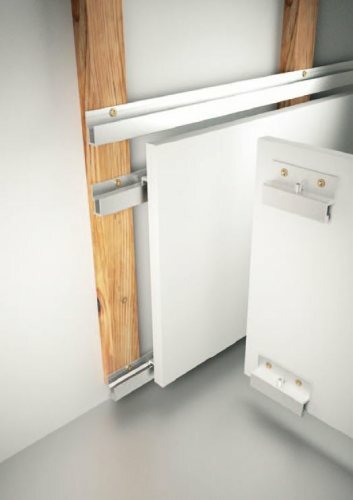 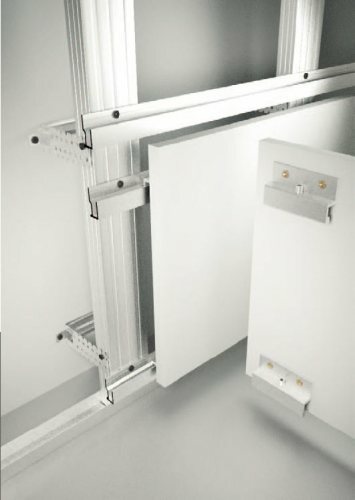 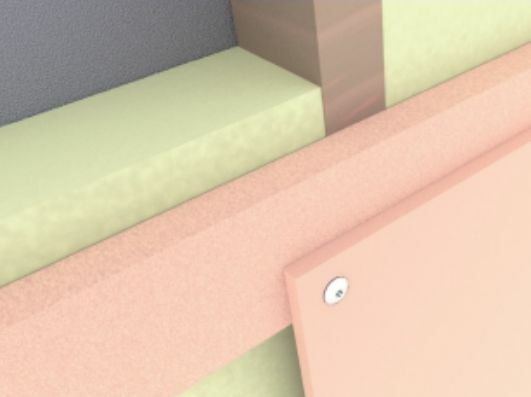 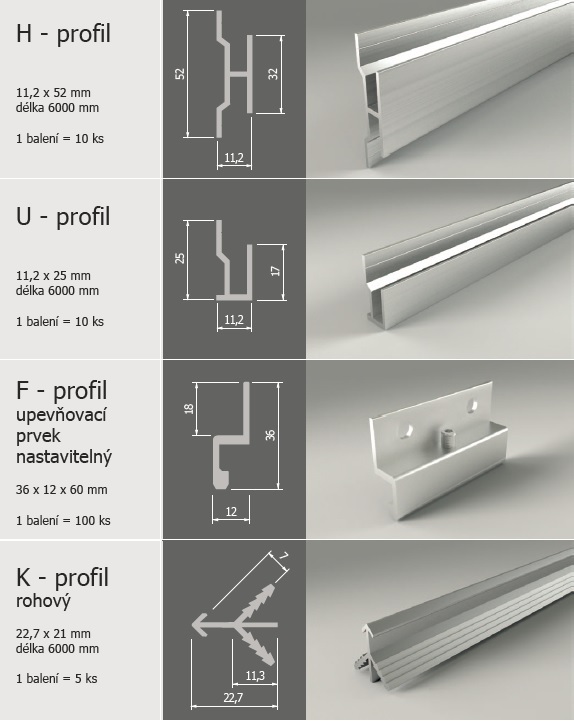 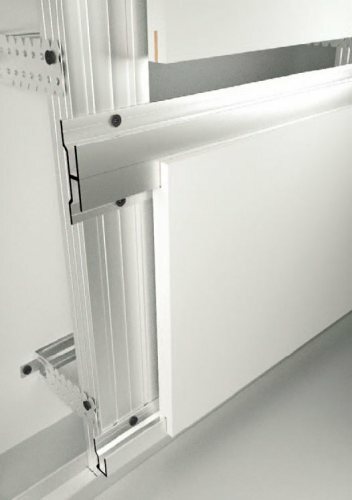 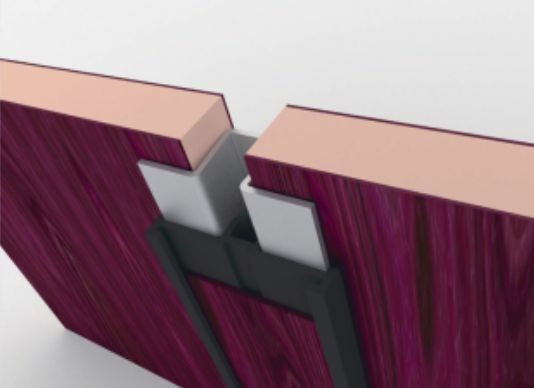 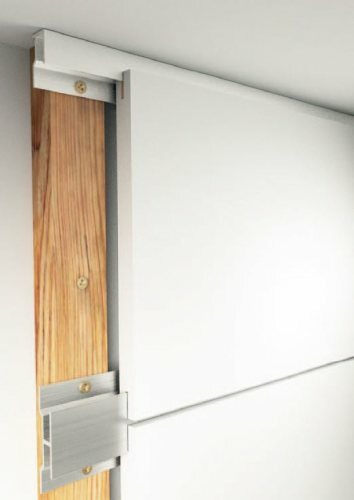 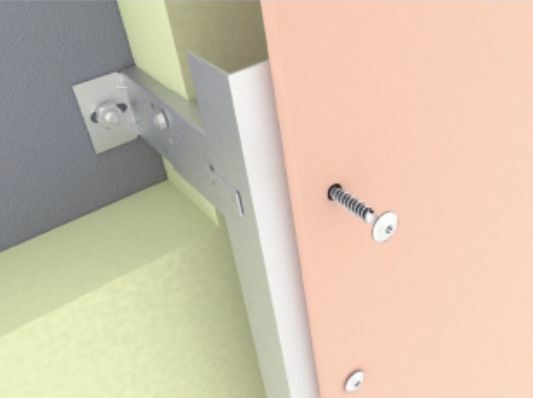 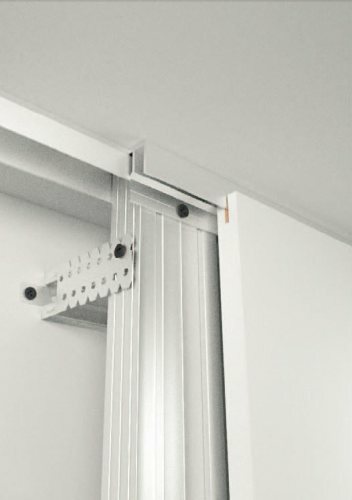 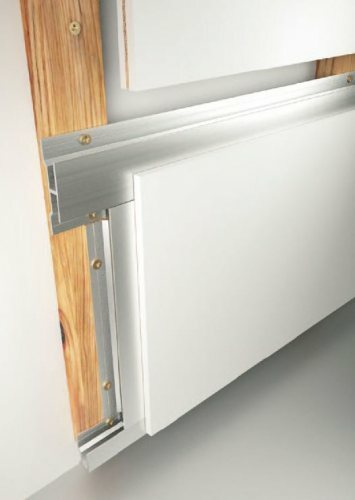 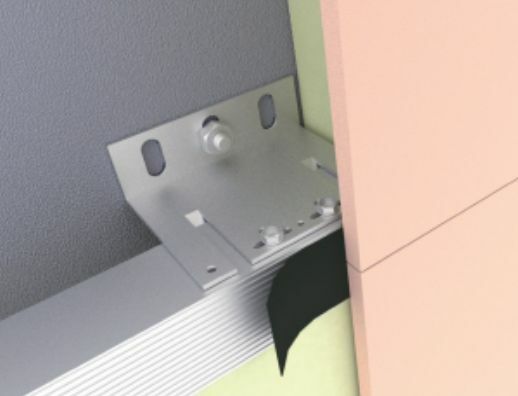 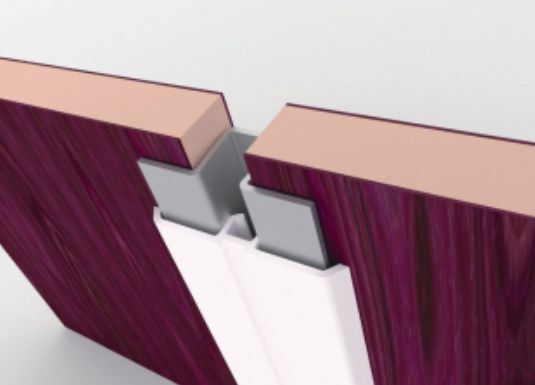 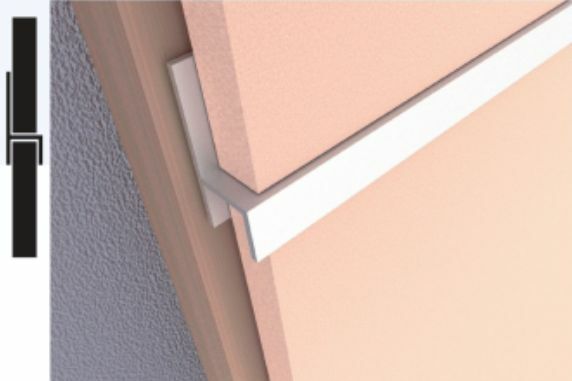 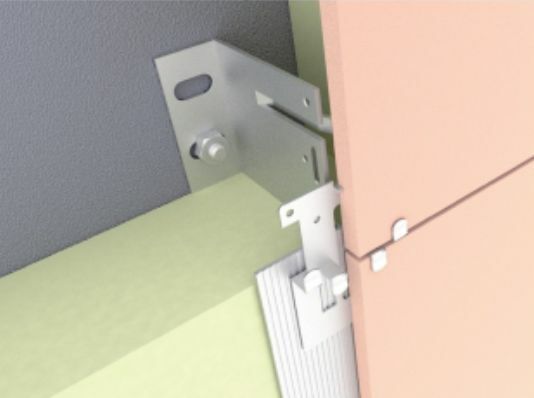 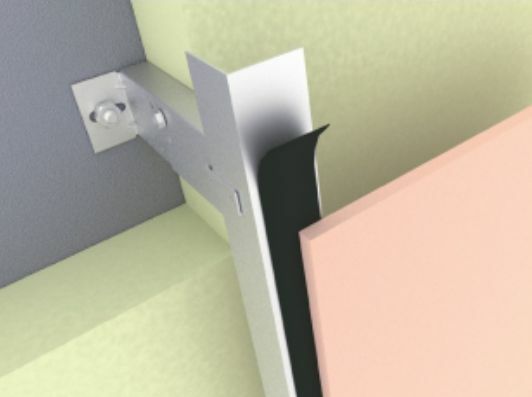 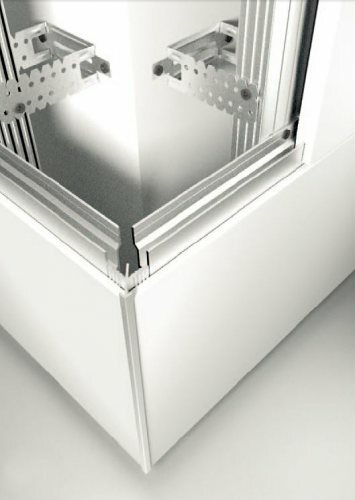 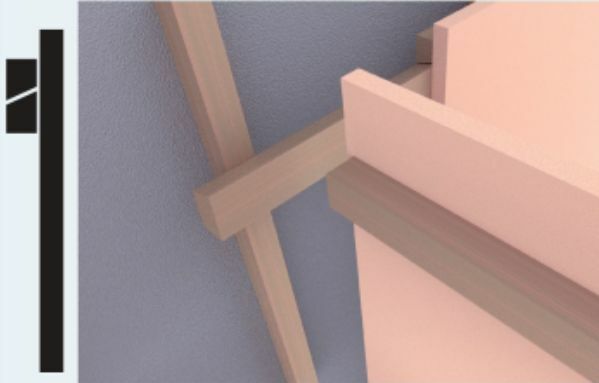 When mounting the panels, recognizeable gap is visible in the joint H - profile. 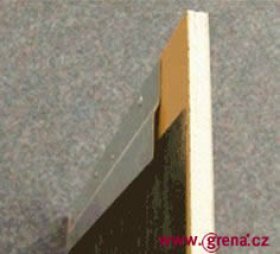 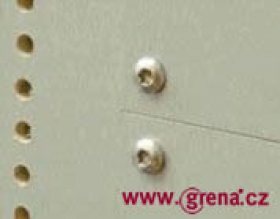 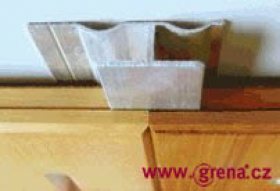 Hanging placement of incombustible panels Grenamat: F - profile mounted at the back of the panel, placed in the U - profile. 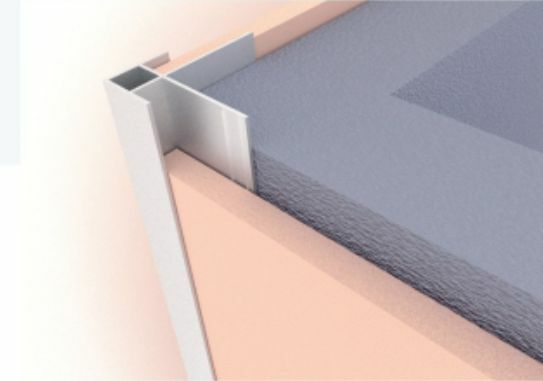 Screwing through the surface layer. 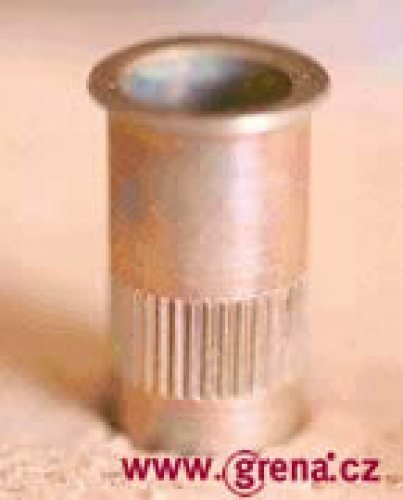 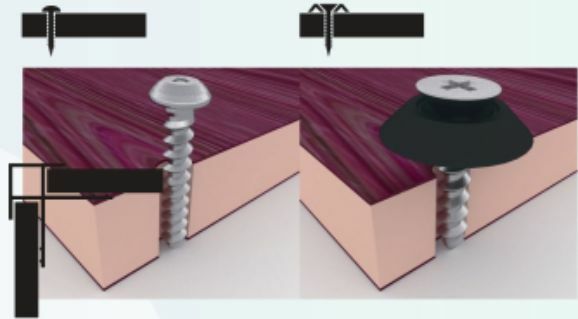 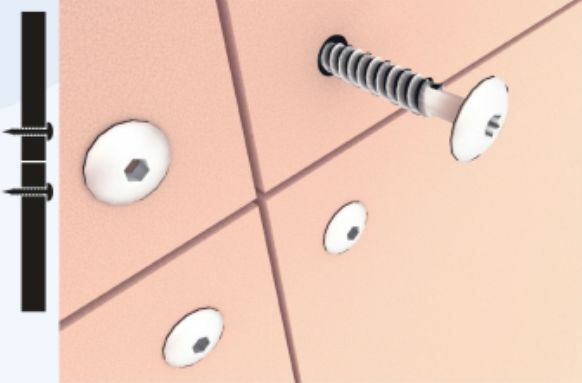 Tolerance for screw shank must be maintained. 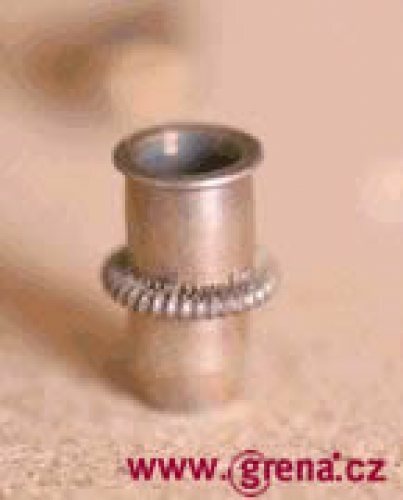 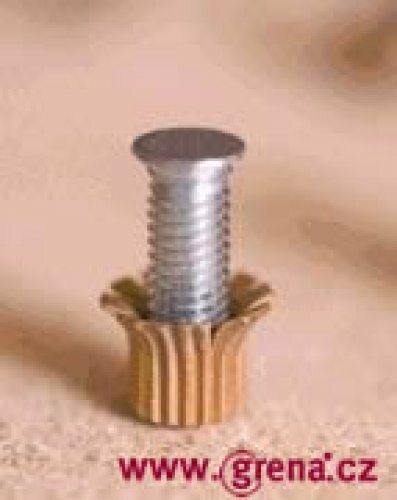 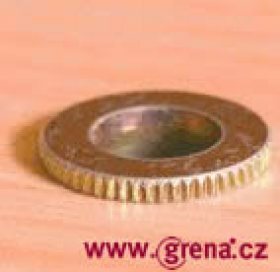 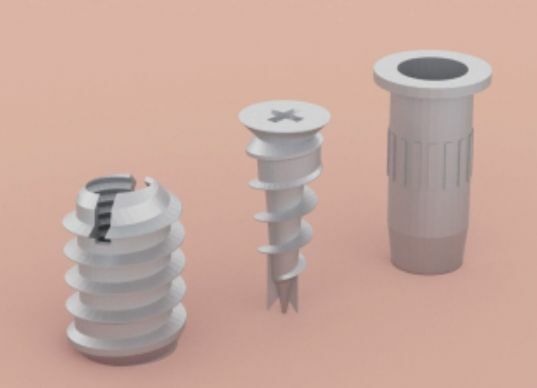 For countersunk screws, use washers to avoid tear of the surface foil.